A native of Hamtramck, Michigan where he played softball in high school and baseball on Detroit’s sandlots, Gromek was converted from an infielder to a pitcher in the minors and went on to a 17-year career (1941-1956) in the American League with Cleveland and Detroit. He won 123, lost 108 and compiled a 3.41 ERA in 447 games. His greatest moment came in the 1948 World Series when he outpitched Johnny Sain before nearly 82,000 people at Cleveland’s Municipal Stadium to give the Indians a 2-1 win over the Boston Braves. The game was played in one hour, 31 minutes. Steve Gromek was born in Hamtramck, Michigan, on January 15, 1920. His baseball career followed a strange path. While at St. Ladislaus High School, Gromek did not play baseball – he played softball! That was because the school could not afford to support a baseball team or hire a coach, Gromek recalled. Early in his high school career, Gromek was put in charge of the school’s athletic program – mainly basketball and softball. Thus Steve was coach at the age of 15. Following graduation, Gromek played baseball with the American Legion on Detroit sandlots. He was scouted and signed with the Cleveland Indians. He started his career in the minor leagues, playing shortstop with the Fargo-Moorhead team in the Northern League. 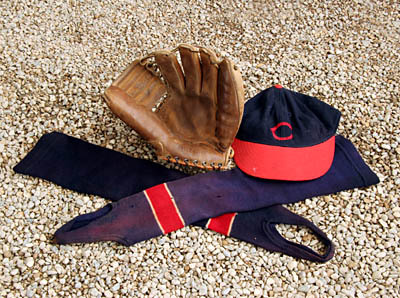 Steve also played with Flint in the Michigan State League where manager Jack Knight converted him into a pitcher – a notable change that turned out very well. During his 17 year major league career (1941-1957), Gromek pitched with Cleveland and later with the Detroit Tigers. He compiled an overall record of 123-108, appearing in 447 games with a 3.41 ERA. Steve’s greatest thrill came on October 9, 1948, in the World Series. A record crowd of 81,897 witnessed his seven-hit pitching performance as he out pitched Johnny Sain in a 2-1 victory at Cleveland’s Municipal Stadium. Throughout his sandlot and pro baseball career, Steve Gromek played the infield, the outfield and took the mound to pitch. Little is it known that he also did some catching. While playing with the St. Aubin Aces in the Detroit News “Fair and Square” hardball league in 1936, Steve left his shortstop position to take over the catching duties when the Aces’ regular backstop was injured. In those days it was quite a feat for a youngster to volunteer to go behind the plate. The catching armor was almost nil. 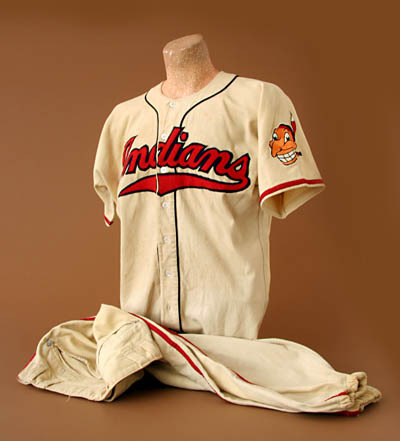 The banner headlines in the Detroit Times read: “TIGERS MOVE TO FIRST -HAMTRAMCK BOY SHOVES THEM BACK.” The dateline was September 11, 1944, the day after the Tigers played the Cleveland Indians in a Sunday twin-bill at Briggs Stadium before 55,279 fans. Going into the doubleheader, the Tigers were 1/2 game behind the first place New York Yankees. In the opening contest, Hal Newhouser blanked the Indians, 5-0, as the Yanks lost the first game of their doubleheader to the Boston Red Sox, thus putting the Tigers in first place. But the Bengals did not stay there very long as Hamtramck native Steve Gromek out pitched Dizzy Trout in the second contest, 7-4, shoving them back to second place as the Yanks won their nightcap. At the end of the season, the Tigers had finished second to the St. Louis Browns – one game back!